The RME Fireface UC is an USB audio interface with standalone function, Mac and Windows compatibility. 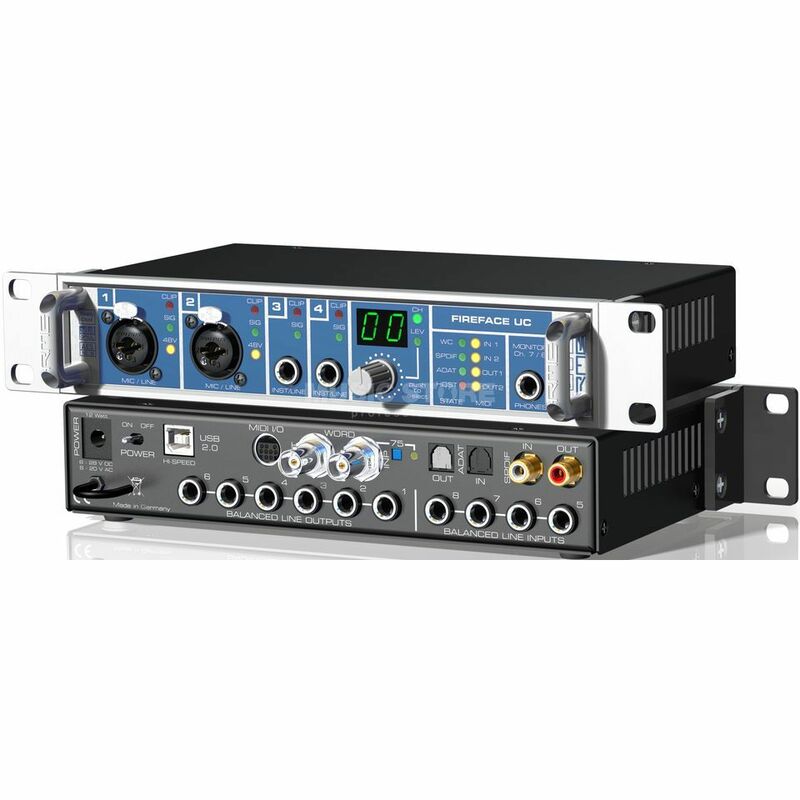 It has 8 analog in- and outputs, as well as 2 MIDI I/Os, optical ADAT I/O and coaxial S/PDIF I/O. So there results a total count of 36 available channel. Among all USB audio interfaces in this price category, the RME Fireface UC stands out with excellent soundquality on all I/Os while allowing a maximum of flexibility. It can be used for audiorecording sessions on the go, homerecording and studiorecording applications. Best soundcard for every purpose, best converters and audio quality out there, i already knew about it from hands on experience and im so happy to have it now. Using it mainly for recording hot analog-modular signals, also sending signals.